Those were the days, my friend. And, indeed, we thought they'd never end, as we hopped, skipped and blooped our way through Jet Set Willy's mansion, traded between distant worlds in Elite and yet still found time to hack up our own arcade clones in any of a dozen variations of the Basic programming language. Those of us who hadn't moved on to machine code, that is. Oh, how we threw about our LDA #45s, OUT (C),Ds and CMP $4400,Xs with joy and abandon. And in a world before the banality of standardisation become commonplace, all our micros were wonderfully incompatible. The Dragon 32 would blow fire on a Vic-20 cassette, the BBC Micro sneer at software coded for the Spectrum. They're all gone now, of course, out-evolved by IBM and its imitators, and by Apple; by Windows and the Mac OS. Only Linux still holds some of that 80s sense of new worlds waiting to be discovered. Perhaps Raspberry Pi will allow us to return to them. In the meantime, here are ten of the micros that opened our young eyes to the possibilities of tech. 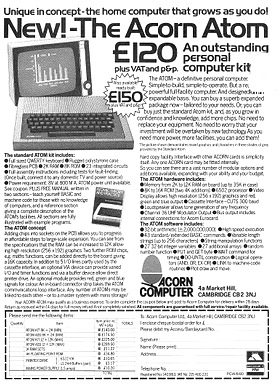 Acorn co-founder Chris Curry had quit working for Clive Sinclair to pursue his goal of creating a computer kit for enthusiasts. 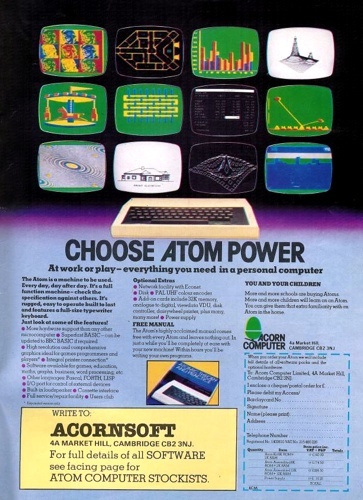 The result was the Acorn Series 1 motherboard, launched in March 1979. Acorn's next machine, it was decided, needed to a complete system, albeit one they expected users to assemble themselves. The result was the Atom, essentially a revised Acorn Series 1 - which had been designed by Sophie Wilson - wrapped in a casing styled by Alan Boothroyd. 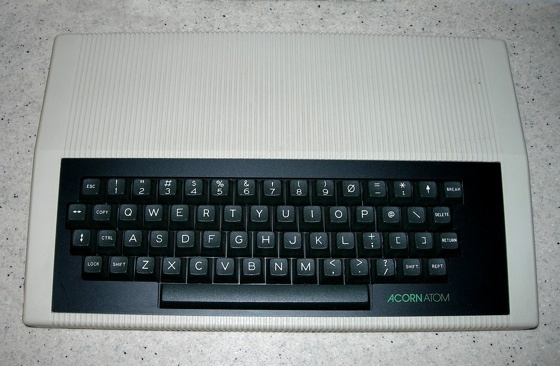 The team originally wanted a membrane keyboard, of the kind Sinclair had put on its ZX80 kit in early 1980, but Curry insisted on a full keyboard as a differentiator. The Atom was a hit, with more than 10,000 sold during its lifespan. But these were the very early days of the UK home computing scene, and better was to come. 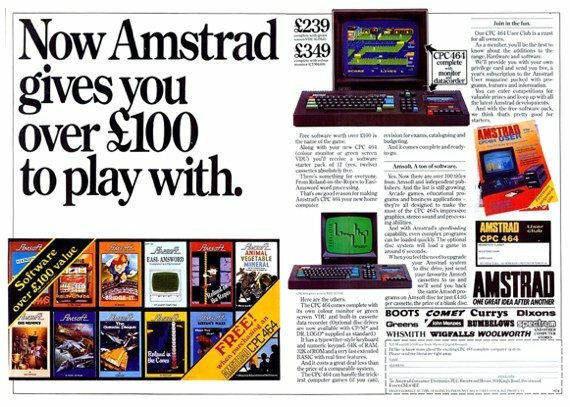 Alan Sugar's Amstrad was a well known maker of cheap hi-fi kit in the late 1970s and early 1980s, but the firm didn't jump into the computer business until much later than others had. Perhaps that's why it survived so much longer than its rivals did - it even bought out Sinclair Research, in 1986. 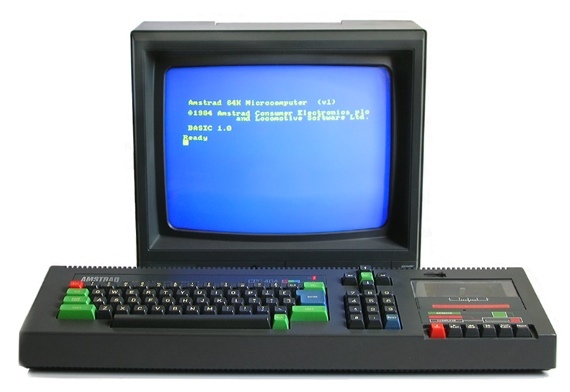 That came later - first, in 1984, Amstrad released the CPC64. Based on the Z80A chip clocked to 4MHz, it had 64KB of memory, a full-size keyboard and - unusually for the time, but in tune with Amstrad's passion for integration - a built in cassette player. Later versions gained more memory and 3in floppy drives. The CPC 464's low price, familiar brand and a rapidly growing library of games software ensured success. Punters may have poo-poo'd Amstrad's hi-fi but they liked its computers. Over the lifetime of the CPC line, some 3m machines were sold. The CPC 464 was discontinued in 1990.